I know, I know! I've been slack again on the ol' blog! But it's because I've started a new job and after about a month of un-employment I got back into a bad sleeping pattern so I've been catching up on rest all week. I'm a HUGE Fleetwood Mac fan so really couldn't resist this Rumours shirt when I saw it. I really didn't want to accessorise much and just kept it simple with a pair of Vans. I'm being 12 years old again and am off to see Taking Back Sunday though! Being unemployed and living in town meant I had alot of time to window shop but no money to buy. Thankfully now I am employed (and get paid weekly) I can't wait to hit the shops hard! 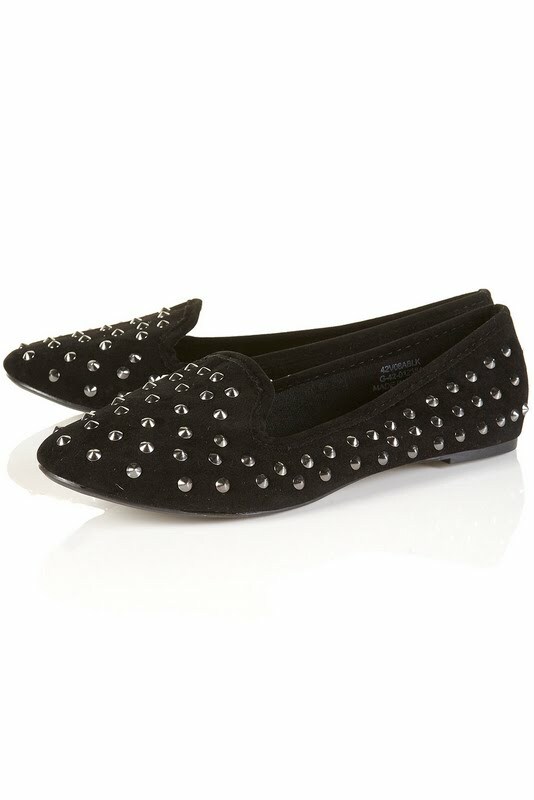 Spike Peep-Toe Heels - River Island £65. I walk like a boy in heels but my BFF tried them on and they were AMAZING! VECTRA Studded Slippers - Topshop £28. Now these I can get on board with/will be buying next week! 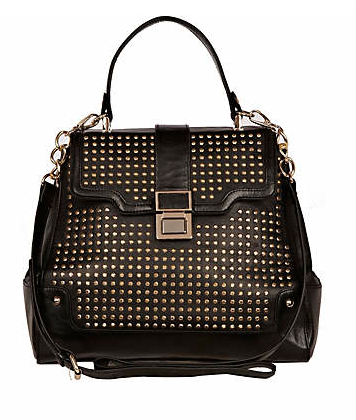 Studded Clasp Bag - River Island £45. Really nice and big, so tempted! 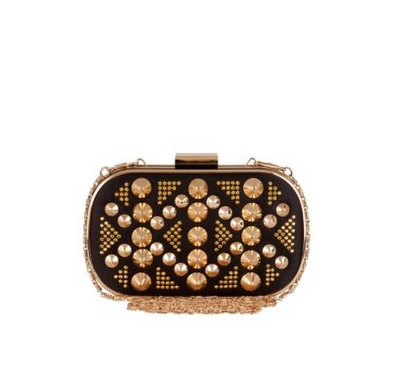 Studded Box Clutch - River Island £30. This bag matches the first pair of shoes - so tiny but such a treat to the eyes! 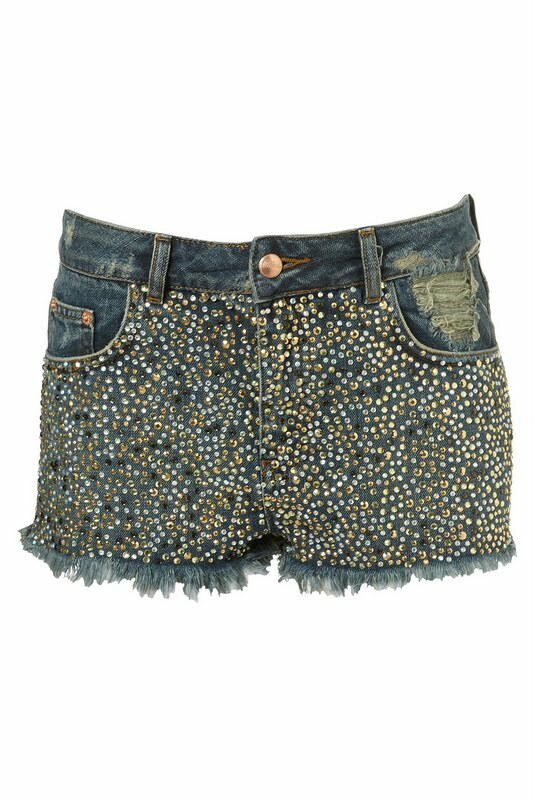 MOTO Vintage Wash Denim Sparkle Stud Hotpants - Topshop £75. 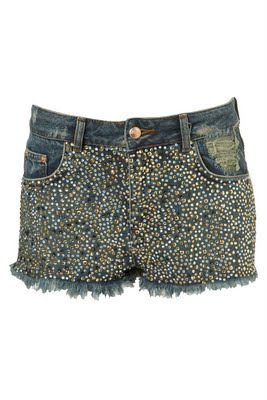 These are so Britney 2011 it hurts, they are too expensive but I am in love. Ok! So I am an Aussie Angel and as many of you may have seen all the other Angels are posting about this fabulous giveaway Aussie is holding to celebrate the new Aussie-versary Limited Edition bottles. Take The Heat range – shampoo, conditioner, 3MM, heat-protection cream, heat-protection spray – For beautifully blow-dried hair wrap these products around your locks. Miracle Moist – Shampoo, conditioner, 3MM – These heavenly products infuse moisture into dry damaged hair, leaving hair quenched, luscious, smooth and conditioned faster than you can say ‘shine on me’. Luscious Long – Shampoo, conditioner, 3MM, leave-in conditioner – Blended with wonderful lovelies like Blue Mountain Eucalyptus extract, these products help transform weak, distressed hair into luscious locks. ALSO: All those who receive packs will have the opportunity to take part in a challenge, with the chance of one person winning 10 tickets for themselves and 9 of their friends or followers to our HUGE Summer party in October! Then I will pick 7 winners. A list of the prize winners will be available on www.uncoveraussie.co.uk after this date. 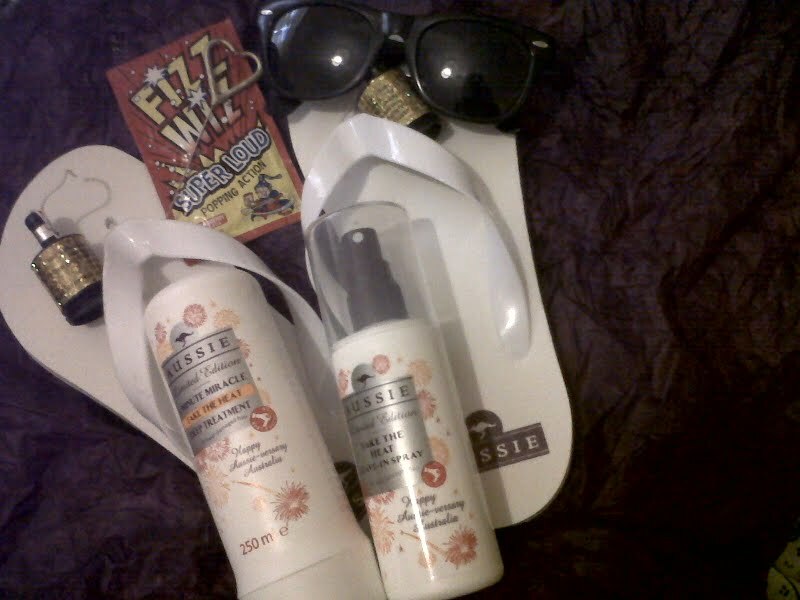 Summer Party packs will be sent by Aussie, and all delivery costs covered by Aussie. Ok there are 7 chances to win so GO GO GO! First up, thanks for all the lovely comments on my last post! Loved seeing what you all thought! Second, my new flat has hardly any light so all my outfit posts look grainy and have gone to hell, but I'll try sort something soon. I kinda think it makes me look a bit like a waitress but I still dig it. I've re-dyed his hair since then and it looks ALOT better, and he does have an arm it's just broken. My VIPXO Scrabble ring that I basically never take off. I'm real into things with my initial/s on. Also late last night I had an email saying this blog would be in The Times today so that was kinda nice to see my silly face on page 24.